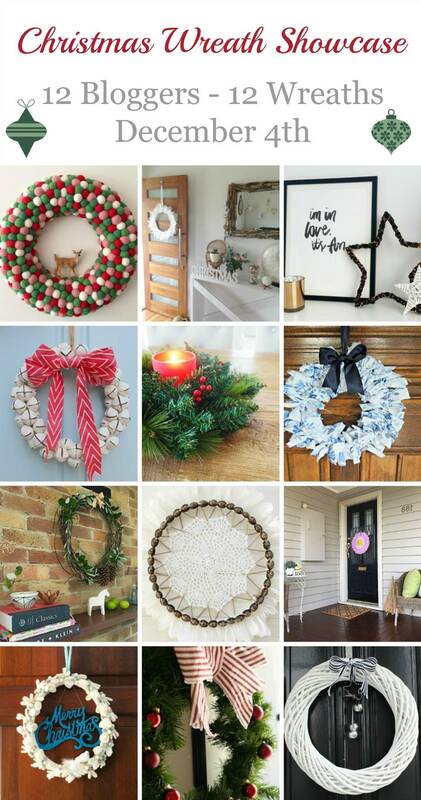 We’re so excited to be one of 12 Aussie home and interiors bloggers in this Christmas wreath showcase! Joining forces with the likes of DIY Decorator and The Stylist Splash, we’ve each shared our Christmas wreath and at the bottom of this post you’ll find a mini tutorial so you can make our star Christmas wreath too. In true SC style, we did a Kmart hack (he he!) and styled the photo with Rachel Kennedy Designs artwork and a few other Kmart finds… perhaps we’ve become Kmartaholics too?! We veered away from tradition this year and opted to make a simple star Christmas wreath. 1. Cut the ribbons connecting the large wicker star to the smaller white star. 2. Spray paint the wicker star in black spray paint. 3. 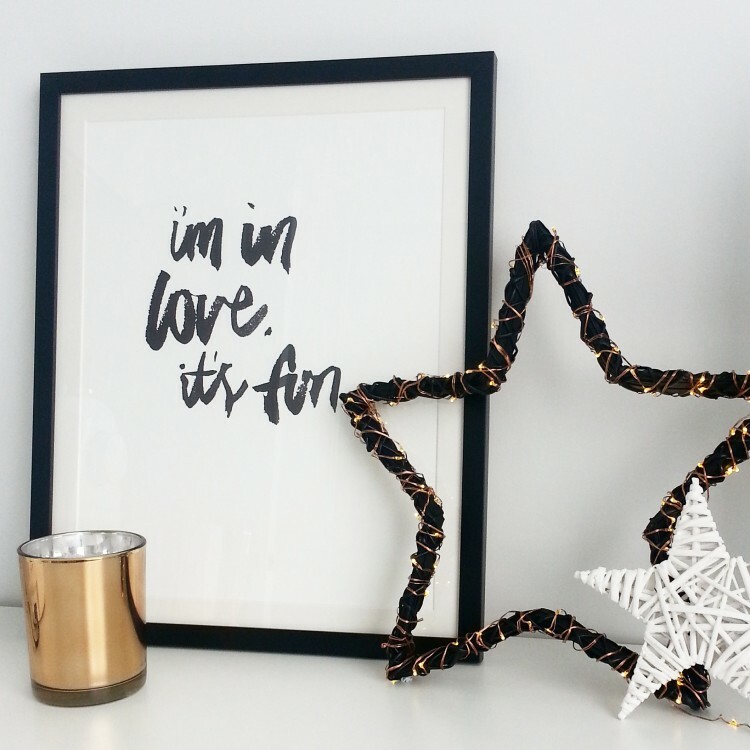 Once dry, wrap your copper fairy lights around the star and style in your home! Do you have a Christmas wreath at your home? Or did our showcase inspire you to make one of your own? We’d love you to tell us in the comments below! This is just beautiful. Kmart keeps surprising me with their homewares! The copper fairy lights add the right amount of sparkle – perfect for Christmas. Love your stylish Christmas wreath Gina. Stunning. Thanks so much Sam and love the wreath you and Kylie came up with too! So much Christmas inspo! 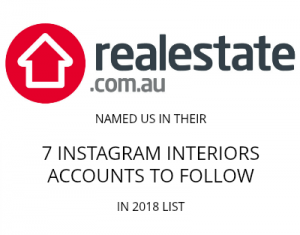 He he, thanks Niks 😉 Ahhh scary to think there’ll be another little one joining our family soon… might need to start thinking about some more child-friendly or shelf Christmas ideas! Hi Kylie, thanks so much for your lovely comment and for inviting us to join your Christmas wreath showcase – so much fun! Your cane wreath is divine, so simple and stunning! I love any Kmart hacks – what fun! ANything with fairy lights always is a winner, how pretty is this?! Simple and clever, love this idea Gina. Thanks so much Nicole <3 Absolutely love your wreath too - such a clever way to use fabric and the colours are fab!